I’ll let you in on a little secret. My husband and I have a Friday night happy hour ritual. Not out at a trendy gastropub with lots of friends…but at a small bar in our basement (aka the “man cave”)! It works for us. The company is good and the drinks are cheap(er)! I love happy hour about as much as I love Fridays. It’s such a great, celebratory way to kick off the weekend. The only problem is, I would never get home from work in time to participate. That’s why about a year ago I decided to forego the mad dash to get to the bar on Friday before 7pm and start hosting happy hour at home. 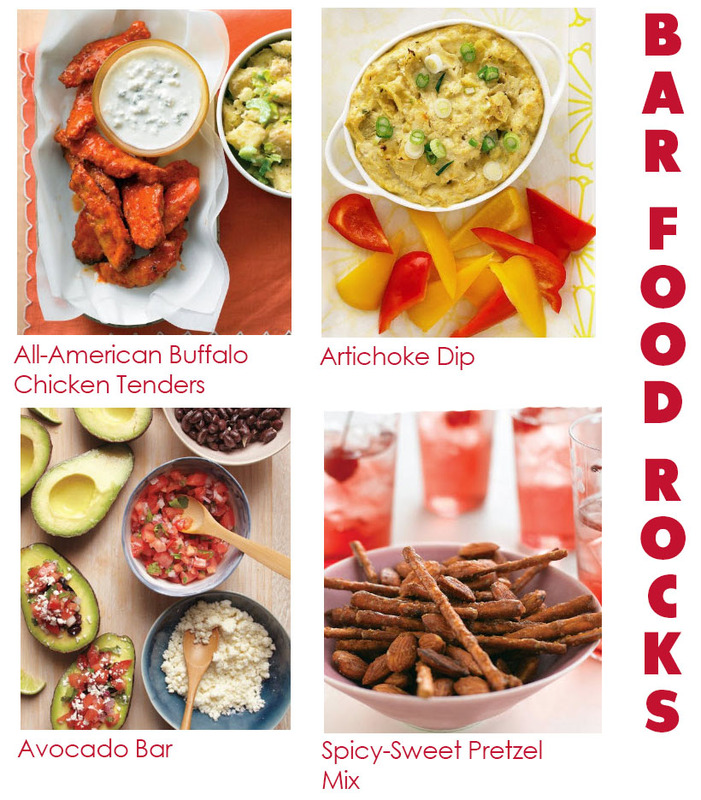 Here are a few simple menu suggestions to create an at home happy hour that beats the bar! P.S. The recipes are quick and easy too, because we all know that last thing you want to do after a grueling commute in rush hour traffic is slave away in the kitchen for an hour or two! What’s on your happy hour menu?